Problem and Iamsu! get a nice assist from Wiz Khalifa on the bonus track "Bout Me" from their collabo mixtape "Million Dollar Afro" available on HNHH now. Problem & Iamsu! 's odds keep getting better with each new leak, and Bout Me will undoubtedly improve his chances of winning. It's a worthy addition to a respectable catalogue that has seen a lot of growth since Problem & Iamsu! debuted in this game. We're looking forward to the follow-up. 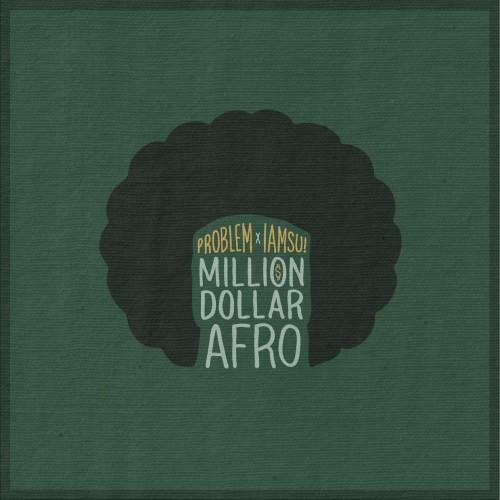 Don't forget to visit our mixtape section to stream and/or download Million Dollar Afro, a project released by Problem & Iamsu! on Wednesday, February 13th, 2013. If you dig this, visit Problem & Iamsu! 's profile for the latest info, news, songs, and mixtapes. Make sure to hit Problem & Iamsu! with a follow and/or like on Twitter.